WARSAW — The number of community cat colonies in Kosciusko County has exploded. The situation got to the point were Darla McCammon, executive director of the Animal Welfare League of Kosciusko County, called in some serious help, Catsnip Etc. an Elkhart County based non-profit that focuses on trap, neuter, return of community cats. A volunteer at the shelter, who knew about Catsnip, told McCammon about the organization. She and Bonnie Lange, president of Catsnip Etc. met. McCammon had so many cats in the shelter, she couldn’t take anymore. “These ladies are so unbelievable. They helped me so much last year,” McCammon said. At publication, Catsnip Etc. 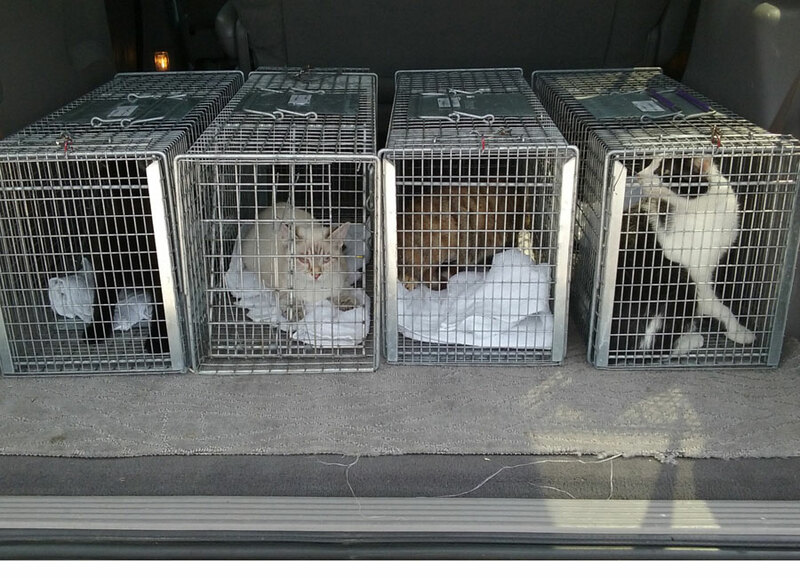 trapped almost 100 cats, had them neutered, ear tipped and returned to their colony. Catsnip Etc. still gets calls at least once a week from someone in Kosciusko County looking for help. Calls have come from as far south as Pierceton and Claypool. She explained feral means an animal that has had no human interaction. There are very few true feral cats anymore. Most are abandoned or strays left to fend for themselves. McCammon said the biggest problem with community cats can be found in mobile home parks, where the human population is very transient. “The trailer parks are full of stray cats no one owns or wants,” McCammon said. Trapping usually takes place on Sunday with the cats going to either a vet clinic in South Bend or Milford for neutering and ear tipping. They spend Monday night with Lange who releases them back to their colony the next day. “These ladies are unbelievable. I was so thrilled with the help I received,” McCammon said. While not wanting to be an adoption agency, Catsnip volunteers realize not all cats can or should be returned to their community. So the organization has established partnerships with other rescue groups throughout the region, including as far south as Indianapolis as well as Illinois and Ohio. Catsnip Etc. needs help with funding, it would like to have a designated vehicle to transport cats to the vet and back to their colony site. They are also looking for more volunteers and locations where some cats could be relocated. For more information visit www.catsnipetc.org or check out Catsnip Etc. Facebook page.